Metro Gymnastics Center, Inc. Family Information Registration Form Release and Waiver of Liability, Assumption of Risk, and Indemnity Agreement ("Agreement") **PLEASE CALL TO ENROLL FOR YOUR CLASSES OR EVENTS AFTER SUBMITTING THIS FORM ** Your credit card is run only AFTER you have called to be enrolled to classes or events. In consideration of participating in the Metro Gymnastics Center, Inc I represent that I understand the nature of this Activity and that I am qualified, in good health, and in proper physical condition to participate in such Activity. I acknowledge that if I believe event conditions are unsafe, I will immediately discontinue participation in the Activity. I fully understand that this Activity involves risks of serious bodily injury, including permanent disability, paralysis and death, which may be caused by my own actions, or inactions, those of others participating in the event, the conditions in which the event takes place, or the negligence of the "releasees" named below; and that there may be other risks either not known to me or not readily foreseeable at this time; and I fully accept and assume all such risks and all responsibility for losses, costs, and damages I incur as a result of my participation in the Activity. I hereby release, discharge, and covenant not to sue Metro Gymnastics Center, Inc., its respective administrators, directors, agents, officers, volunteers, and employees, other participants, any sponsor, advertisers, and if applicable, owners and lessors of premises on which the Activity takes place, (each considered one of the "RELEASEES" herein) from all liability, claims, demands, losses, or damages, on my account caused or alleged to be caused in whole or in part by the negligence of the "Releasees" or otherwise, including negligent rescue operations and future agree that if, despite this release, waiver of liability, and assumption of risk I, or anyone on my behalf, makes a claim against any of the Releasees, I will indemnify, save, and hold harmless each of the Releasees from any loss, liability, damage, or cost, which any may incur as the result of such claim. I have read the RELEASE AND WAIVER OF LIABILITY, ASSUMPTION OF RISK, AND INDEMNITY AGREEMENT, understand that I have given up substantial rights by signing it and have signed it freely and without any inducement of assurance of any nature and intend it to be a complete and unconditional release of all liability to the greatest extent allowed by law and agree that if any portion of this agreement is held to be invalid the balance, notwithstanding, shall continue in full force and effect. AND I, the minor's parent and/or legal guardian, understand the nature of the above referenced activities and the Minor's experience and capabilities and believe the minor to be qualified to participate in such activity. I hereby release, discharge, covenant not to sue, and AGREE TO INDEMNIFY AND SAVE AND HOLD HARMLESS each of the Releasee's from all liability claims, demands, losses, or damages on the minor's account caused or alleged to have been caused, in whole or in part by the negligence of the Releasees or otherwise, including negligent rescue operations, and further agree that if, despite this release, I, the minor, or anyone on the minor's behalf makes a claim against any of the above Releasees, I WILL INDEMNIFY, SAVE AND HOLD HARMLESS each of the Releasees from any litigation expenses, attorney fees, loss liability, damage, or cost any Releasee may incur a the result of any such claim. 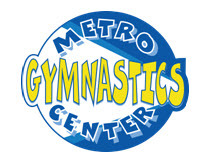 The undersigned gives permission to Metro Gymnastics Center, Inc its owners and operators to seek medical treatment for the participant in the event they are not able to reach a parent or guardian. I hereby declare any physical/mental problems, restrictions, or condition and/or declare the participant to be in good physical and mental health. I request that our doctor/physician be called and that my child be transported to the hospital. I have included our physicians' phone number on the registration form. *I understand and agree that once I enroll for a class, I am enrolled for that class ongoing month to month throughout the school year session (Sept-Mid June). *Payment is due on the 1st day of each month. If payment is not received BY the 7th of each month, my credit card on file will automatically be charged. *I may pay with cash, check or a different credit card before the 7th of the month. *A month is calculated at 4 classes per month; some months my child may receive an extra class. Because of this method, holidays are not prorated. * I understand that NO REFUNDS or CREDITS are given with the exception of extended illness or injury. Credit Adjustments remain on accounts indefinitely. (NO CASH, CHECK or CREDIT CARD refunds will be given). *I understand that my child enrolled for MINIMOVERS, OR RECREATIONAL CLASSES, is allowed to make up ONLY 1 CLASS PER MONTH, regardless of the number of classes missed. FOR DANCE, TEAM, REACHING NEW HEIGHTS, AND ROOTS AFTER SCHOOL. *Payment is due on the 1st day of each month. If payment is not received BY the 6th of each month, my credit card on file will automatically be charged. *I may pay with cash, check or a different credit card before the 6th of the month. *I understand that my child enrolled for DANCE CLASSES, is allowed to make up ONLY 1 CLASS PER MONTH, regardless of the number of classes missed. In consideration of participating in the Metro Gymnastics Center, Inc. I represent that I understand the nature of this Activity and that I am qualified, in good health, and in proper physical condition to participate in such Activity. I acknowledge that if I believe event conditions are unsafe, I will immediately discontinue participation in the Activity. I fully understand that this Activity involves risks of serious bodily injury, including permanent disability, paralysis and death, which may be caused by my own actions, or inactions, those of others participating in the event, the conditions in which the event takes place, or the negligence of the "releasees" named below; and that there may be other risks either not known to me or not readily foreseeable at this time; and I fully accept and assume all such risks and all responsibility for losses, costs, and damages I incur as a result of my participation in the Activity. I understand the importance of using images of Metro Gymnastics Center, Inc (Metro) activities and members in printed materials, Metro web sites, social media, videos and television broadcasts. Therefore, I give my permission for Metro and their affiliates to use photographs an/or video recordings of me and any children ages eighteen and under for whom I have legal guardianship. This consent includes the storage, retrieval and reproduction of information or images. Photographs, videos and the tapes, negatives and digital media from which images and recording are made shall be the property of Metro, which shall have the right to publish, reproduce, distribute and make other uses free of all claims on my part.